2014 was an extremely tumultuous year for Sierra Leone’s development roadmap. 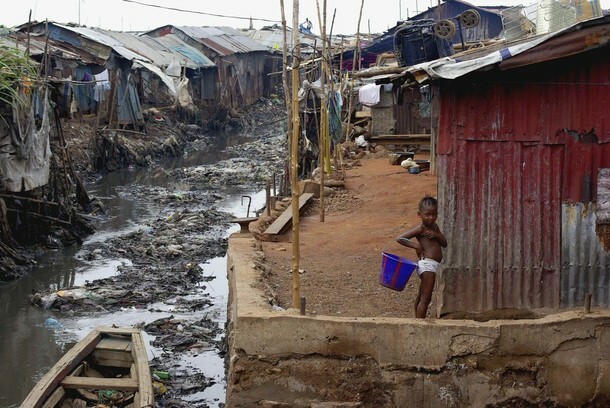 This is so, due to the outbreak of the Ebola Virus Disease, and the unpleasant effects it has brought; from the economic front, to our efforts towards post war reconstruction, the effects could be felt. The closure of the common borders with the other affected nations, seemed to have rattled our trading activities. Prior to the Ebola outbreak, the country was making excellent progress in Agriculture, infrastructure, energy, gender related issues and ensuring a politically stable nation. 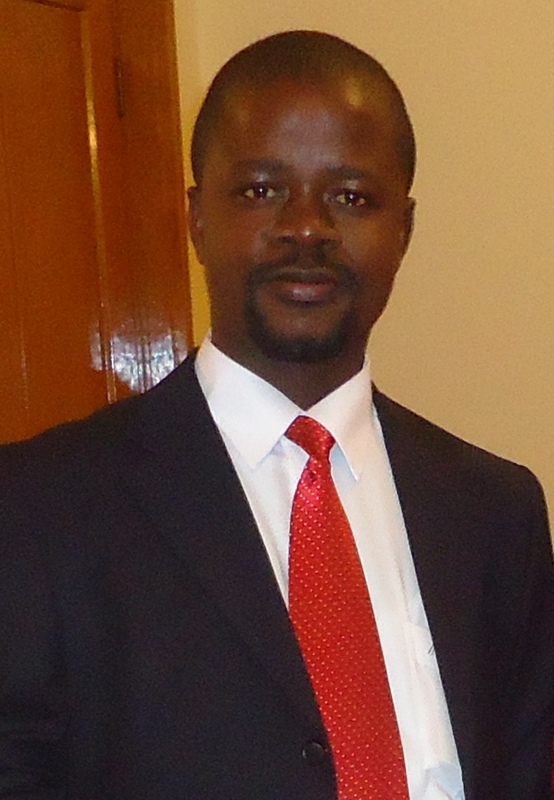 Whatever assessment one may wish to make regarding the governance period of President Ernest Bai Koroma, must practically take into account the major components in the Agenda for Change and the subsequent shift to the Prosperity Road Map for the country’s growth. In the areas of infrastructural development, democratic governance, energy generation and distribution for national growth; ensuring agricultural productivity, and in a host of other sectors, President Koroma’s administration has had a landmark of successes. And as a result of the successes scored in the change agenda, thus leading to the current prosperity drive, the country is now well known for her thriving democracy, with a favorable investment climate and where corruption is being tackled at the highest level with committed political will and support. (Photo: John Baimba Sesay – China). A number of transformational reforms have been undertaken, such as; starting a business, thus making it much easier; in cross border trade with the introduction of the Automated System for Customs Data (ASYCUDA); and attractive fiscal incentives. However, there are a plethora of challenges. Added to those brought on by the Ebola Virus Disease, there is the challenge of fully utilizing our resource rich potential. The country’s resource base remains under-explored and underdeveloped. In Agri-business, for instance, most of the over four million hectares of cultivable land are undeveloped, with major prospects to grow agricultural produce for both food and fuel supply. In tourism, the country is not only largely offering high-end eco-tourism experiences, there is a significant demand for business hotel accommodation along West Africa’s most stunning and undeveloped beaches. But in the tourism sector, there are also challenges. There is need to scale up national budgetary allocations and offering appropriate tax incentives to genuine investors; creating the needed incentives for the internal market so as to patronize the industry, as well as inducing greater local private sector investment in the sector. the same untapped economic growth potential could be found in our energy, fisheries, and infrastructure sectors. But we shall rise as a people. For over a decade, Sierra Leone has had one of, if not the worst civil conflicts in the sub region, brought to an end by the resolve of the people. Ebola has come with its own challenges. But the will on our part as a people to rise to those challenges, is as paramount as our quest to see an end to Ebola. The country has continued working towards putting an end to the virus. Our next fight will be tackling the post Ebola challenges. Our economy has in some ways been affected, families shattered, our development efforts put to a standstill. But there is resolved leadership on the part of Government and the President to fight on. It is time we view these national challenges as something collective, devoid of party or regional attachments. Our ability to move on and overcome the post-Ebola challenges, depends on how we come together as a people and as a nation. 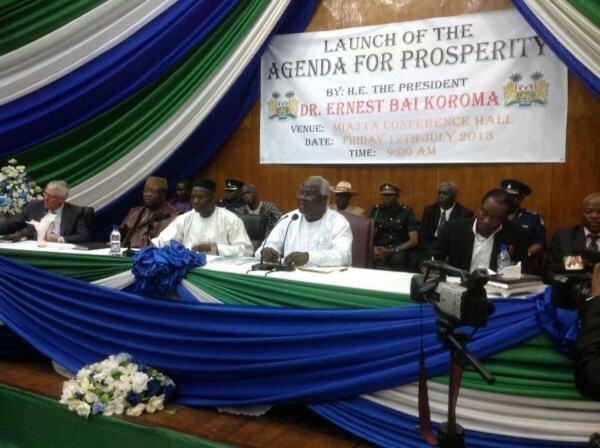 The President remains dedicated towards moving Sierra Leone to the apex of development. He is “committed to accelerating the eradication of hunger and malnutrition, with a strengthened focus on women and children from conception to two years of age, to prevent the irreversible effects of stunting..” as well as making the country a middle-income nation by 2035. The collective will and support among Sierra Leoneans, will ensure the successful drive to achieving this vision, which consequently should lead to a better Sierra Leone. A plausible vision! We have been worked up and distressed by an enemy – Ebola. But we shall not fall. We shall overcome with our resolve as a people and with the leadership of President Koroma. Happy New Year.